1. First and foremost, keep it personal! This is basically what I wrote about last week with storytelling. Focus on telling a story like you would to a friend and building relationships, rather than just asking for your followers to buy something. It’s the “jab, jab, jab, right hook” method. Give, give, give, then sell. 2. Second and probably just as important, avoid statement posts. Nobody will know how to engage or respond if you post a picture of your kids at the park and write, “Fun in the sun!” Instead go back to my first point and tell a story about your park trip. Then take it a step further and ask a question at the end of your post. Make sure your question isn’t too broad and so easier for someone to have a gut response to. 3. Another way to get engagement on your post is to ask your audience to “double-tap” or like your post. The most common way I utilize this strategy is to state my opinion on something and then ask my followers to “double-tap if you agree.” This is a simple but effective method to gaining likes on a post. 4. Mix it up! 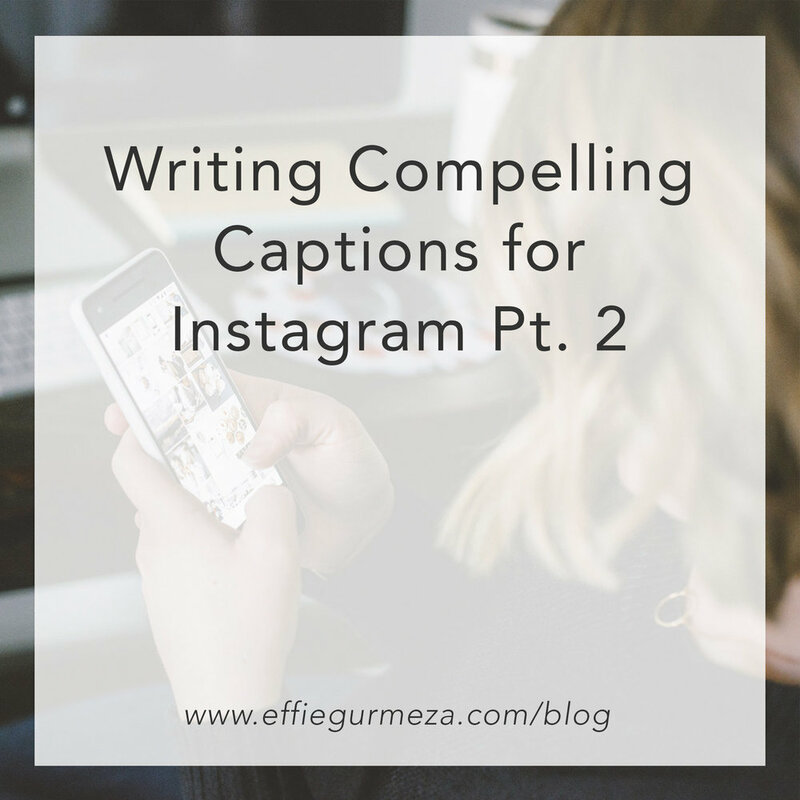 I am probably the worst at this, but studies show that you will have a more engaged audience if you mix up the length of your captions. It makes sense if you think about it. How often do you read a super long, paragraph type caption vs. a shorter, more to the point caption? Another thing to remember here is that after the first 87 characters of your caption the viewer has to click “read more,” so compose your caption for those first 87 characters to draw them in! And if you are like me and like to spill in your posts check out this handy way to break up your formatting for better readability!